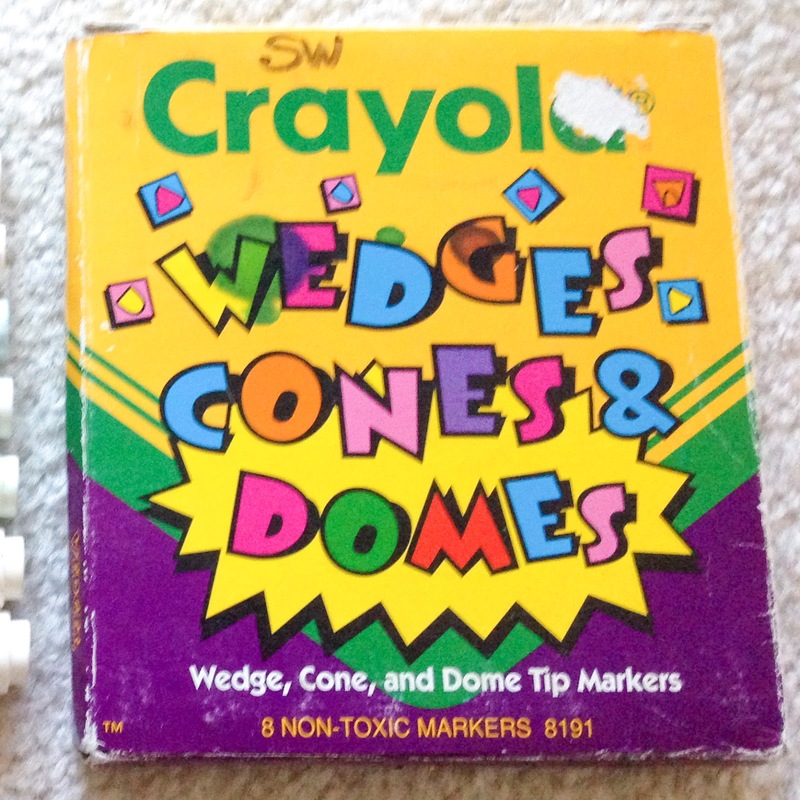 Crayola came out with the Wedges Cones & Domes markers in 1993. 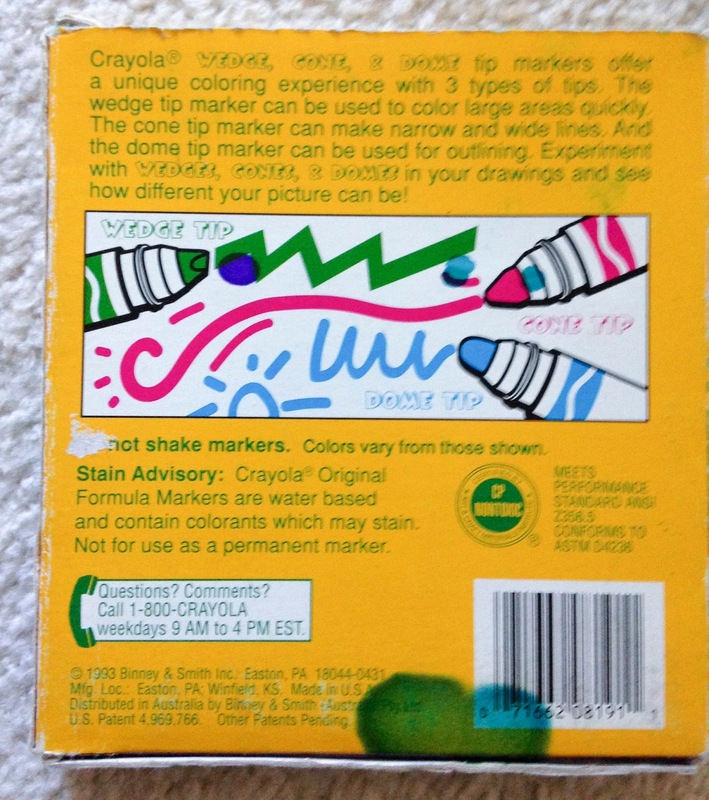 These markers feature 3 different tips on the Crayola marker. One is a wedge marker good for filling in lots of spaces. This one is still used today. Most notably it has been used on the Power Lines and Silly Scent markers. The cone tip which is most like the current marker tip can be used for making thin and thick lines. 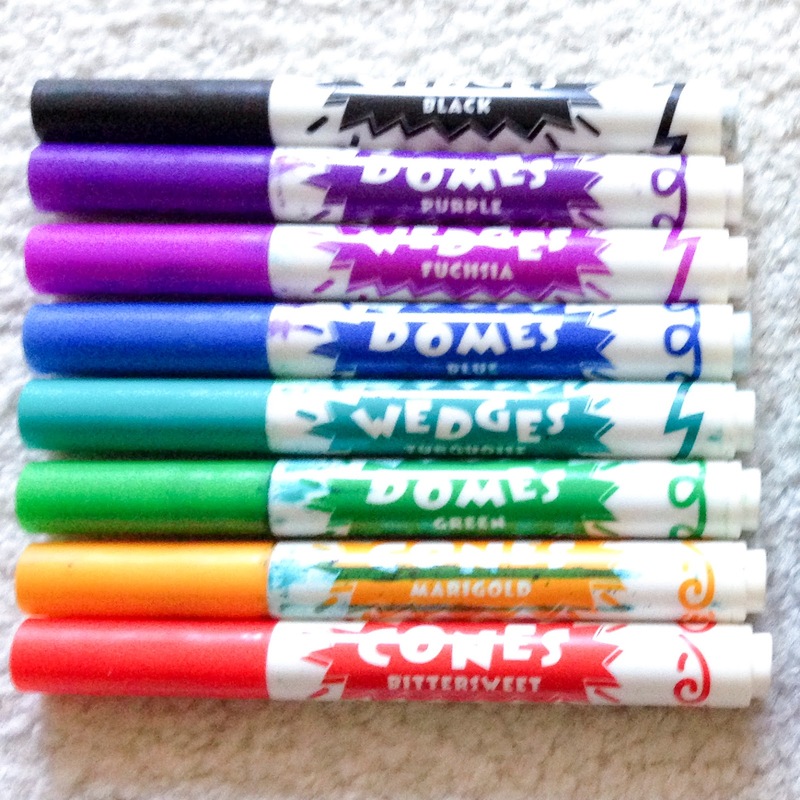 The dome tip is good for outlining. I have not seen this tip used recently. The pictures for this blog post were provided by Stacy Hodges. Click here to find on eBay, may or may not be available. Patents: 4,969,766 Cap for marking instruments, This patent specified the design for caps for Crayola markers. It prevents the marker from drying out, but also is breathable when placed in the mouth. I would love to find the calamine marker, that was my favorite! !